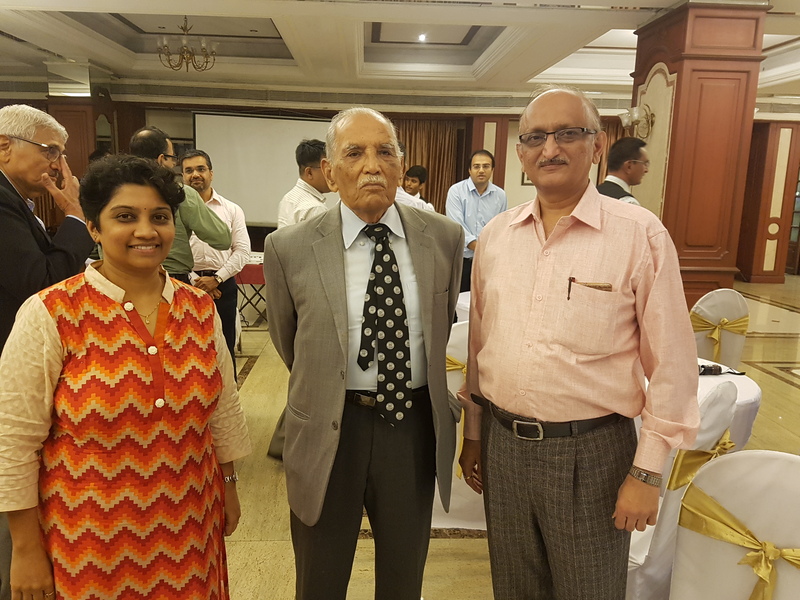 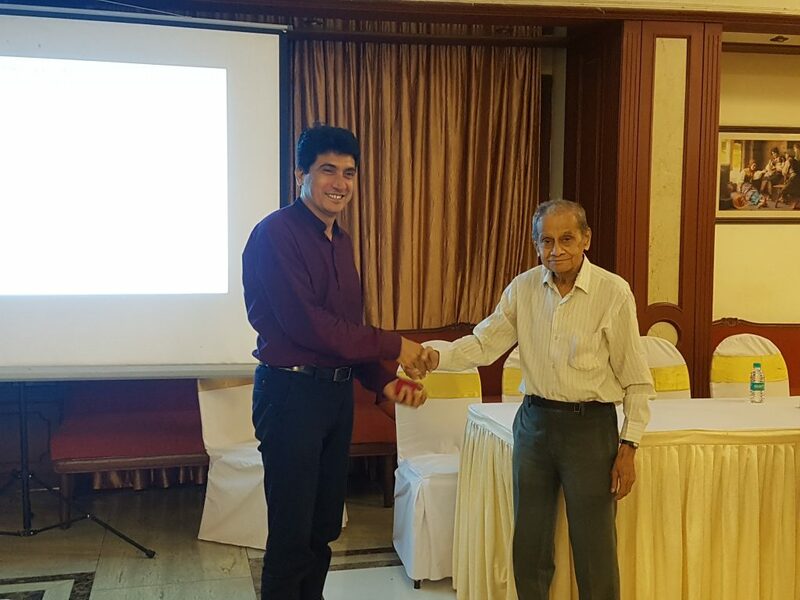 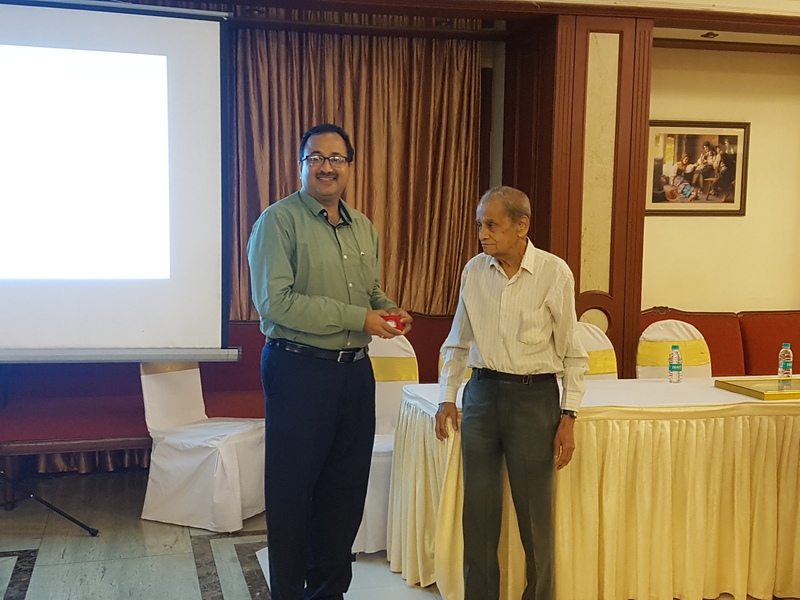 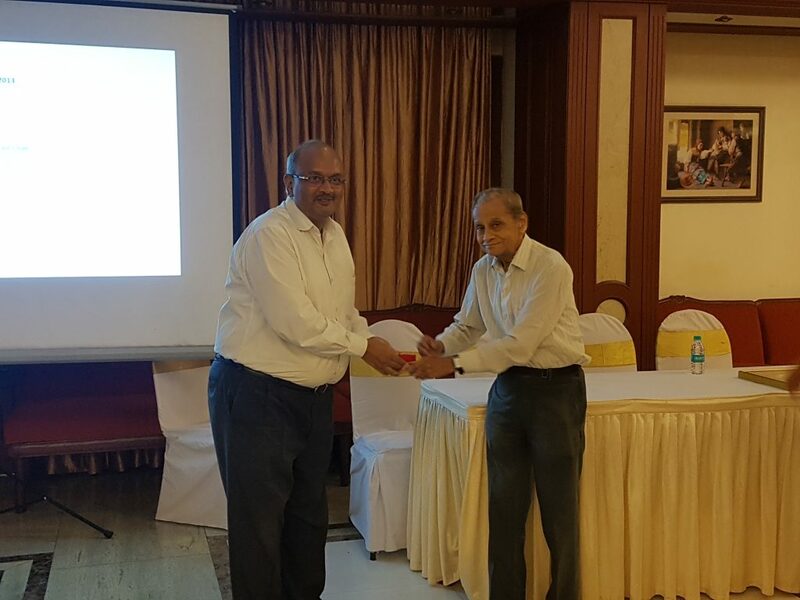 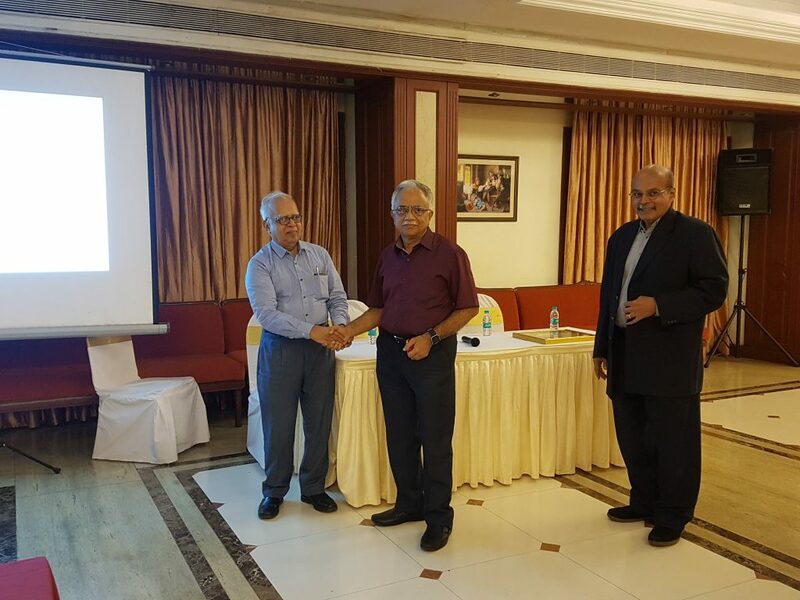 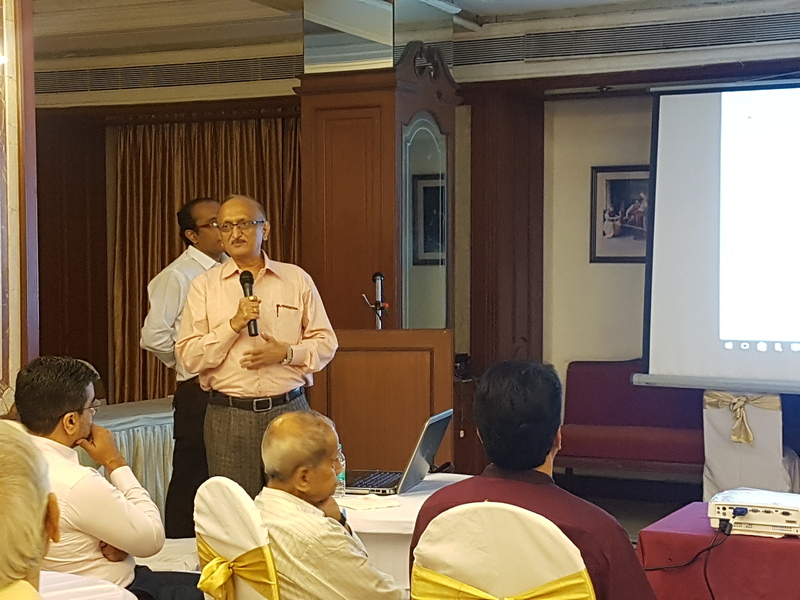 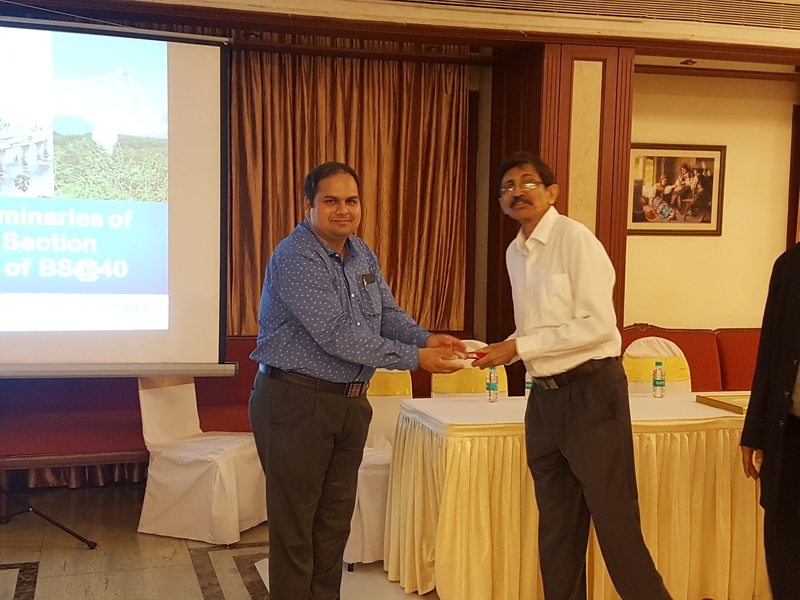 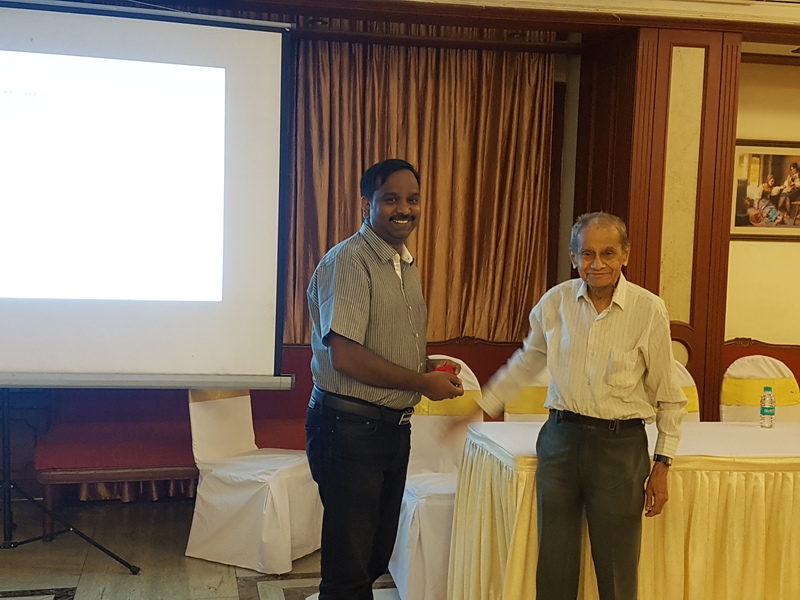 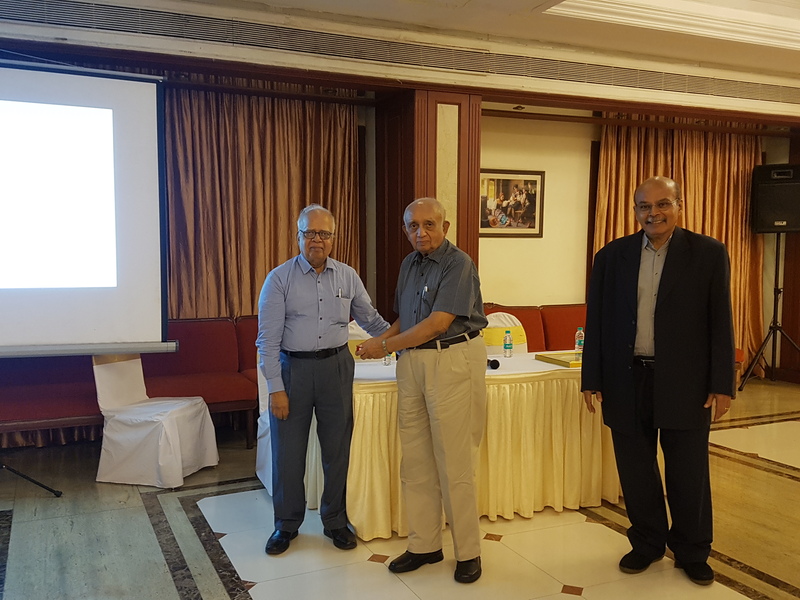 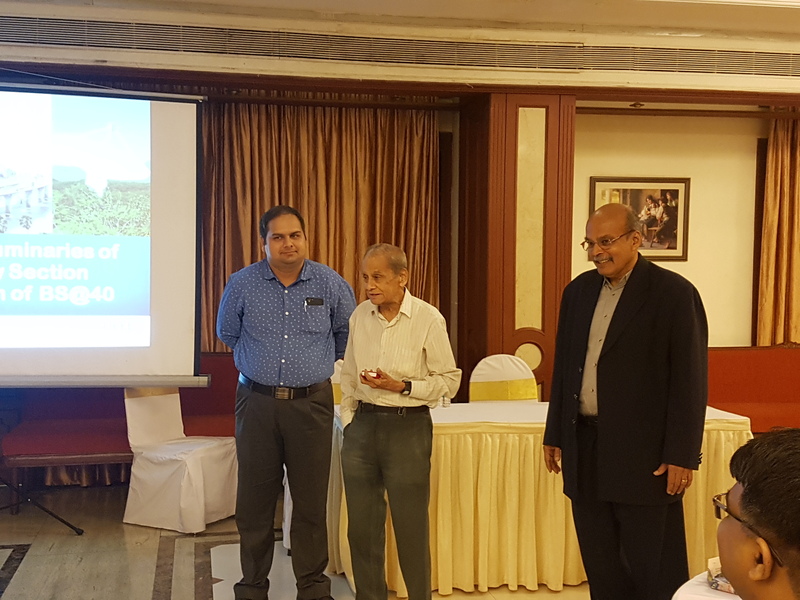 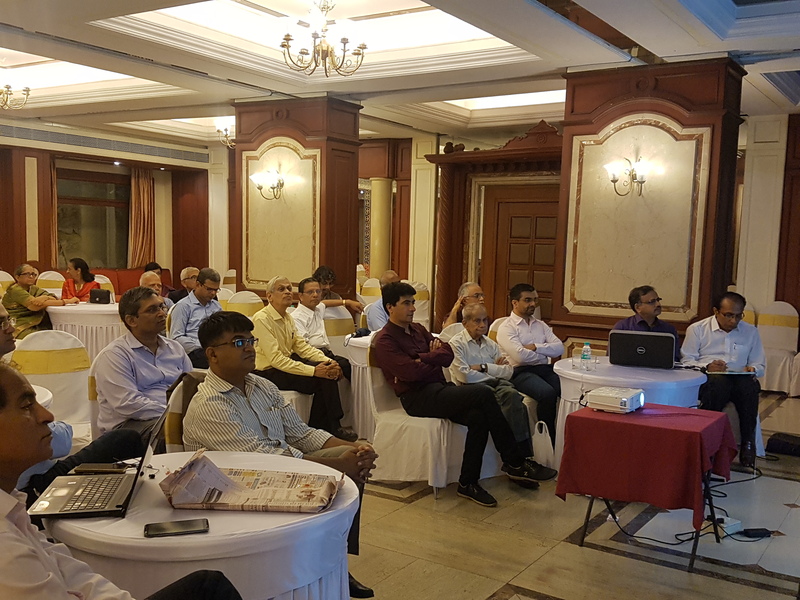 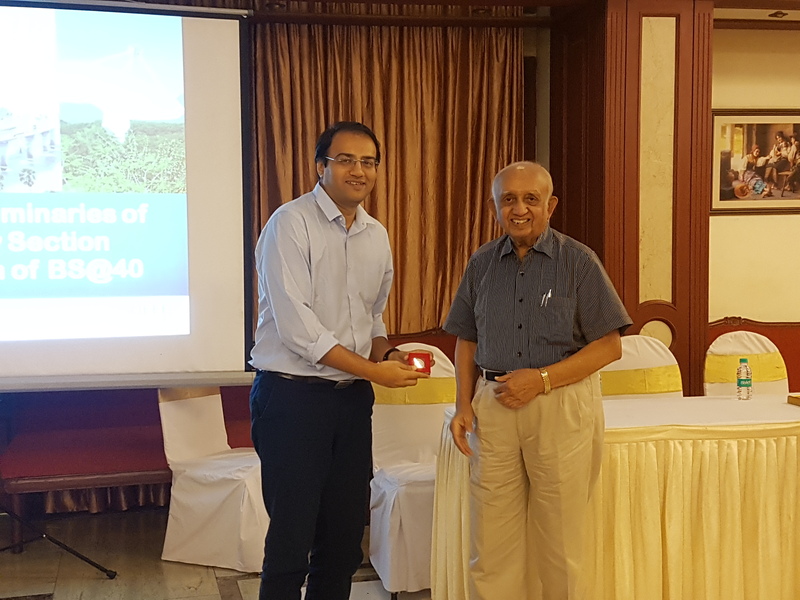 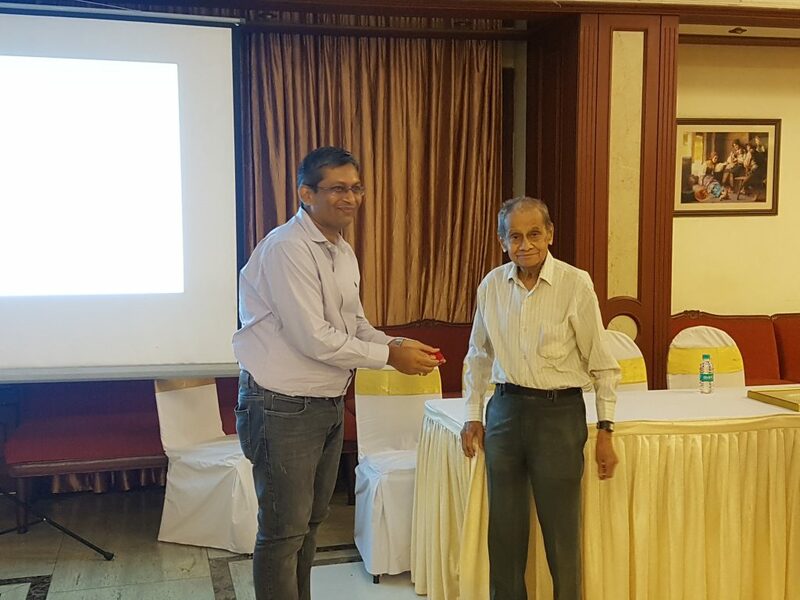 13 July 2017 was special for IEEE Bombay Section as it marks the high point of BS@40 : our year long 40th anniversary celebrations. 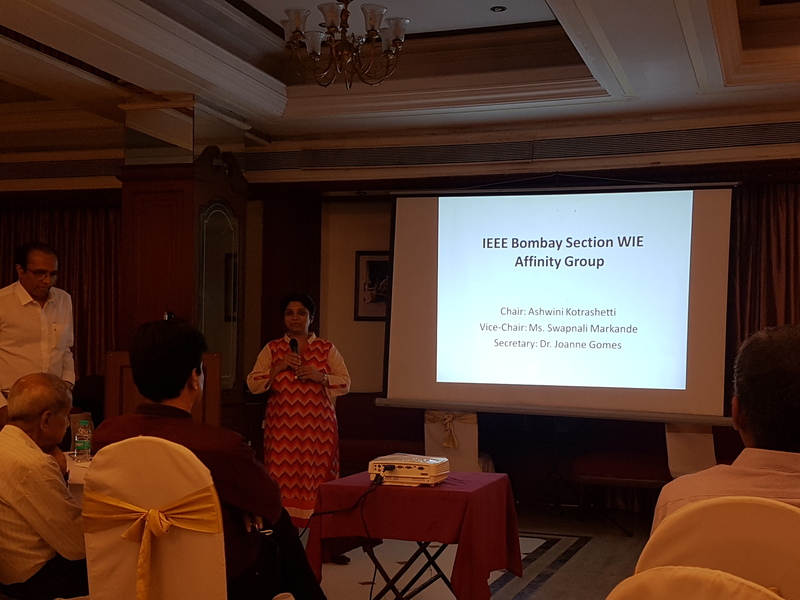 Bombay Section was one of three Sections which emerged from the erstwhile IEEE India Section in 1976. 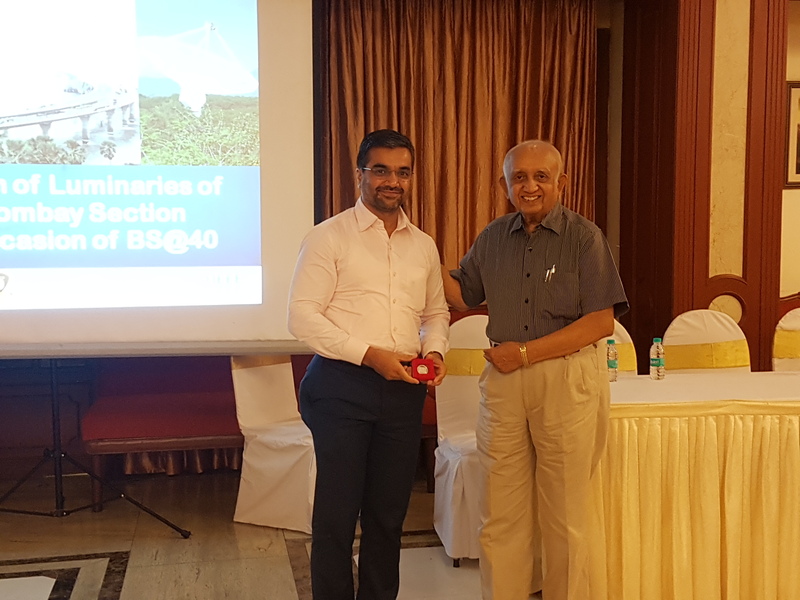 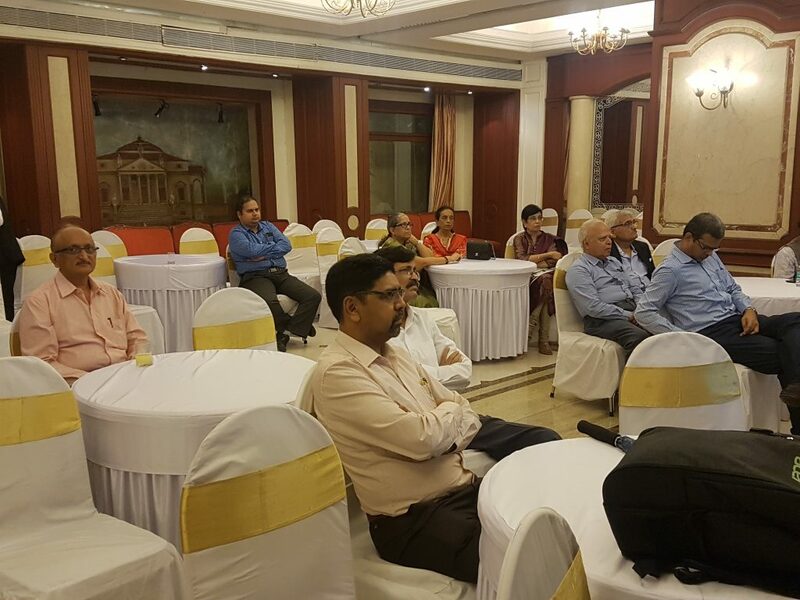 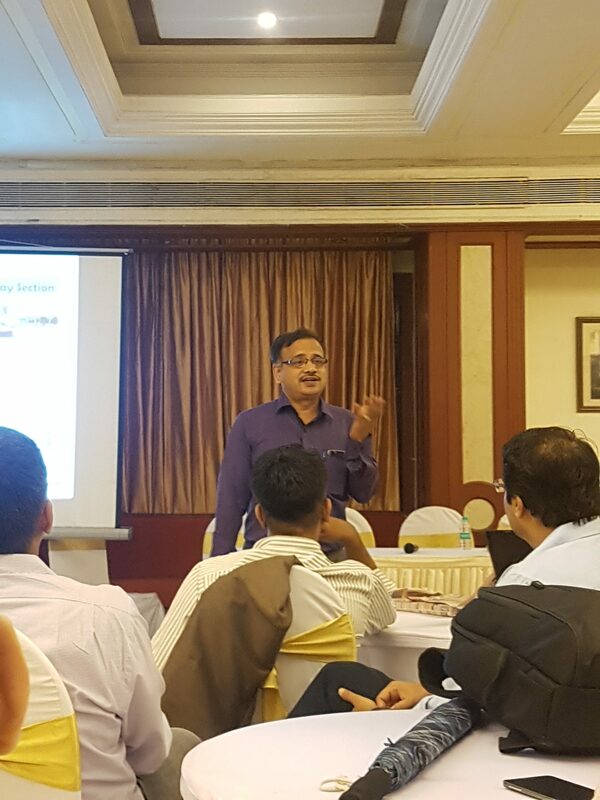 During the period the BS@40 branding covered all Section technical events especially Section Signature Symposium IBSS 2016 held at Baramati, in Pune (Dec 2016) and Section Students Congress IBSC 2017, at Shegaon, North Maharashtra (Jan 2017) and the forthcoming IBSS 2017 at Shah & Anchor Kutchi Engineering College Mumbai (Dec 2017). 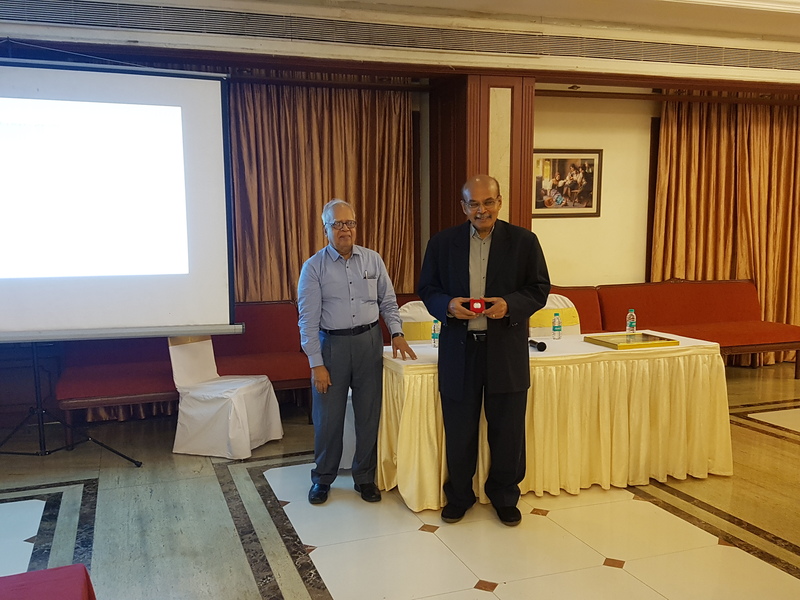 It was decided to felicitate all past chairs and members of the Executive Committee, especially all who served the Section since the silver jubilee celebrations in 2002. 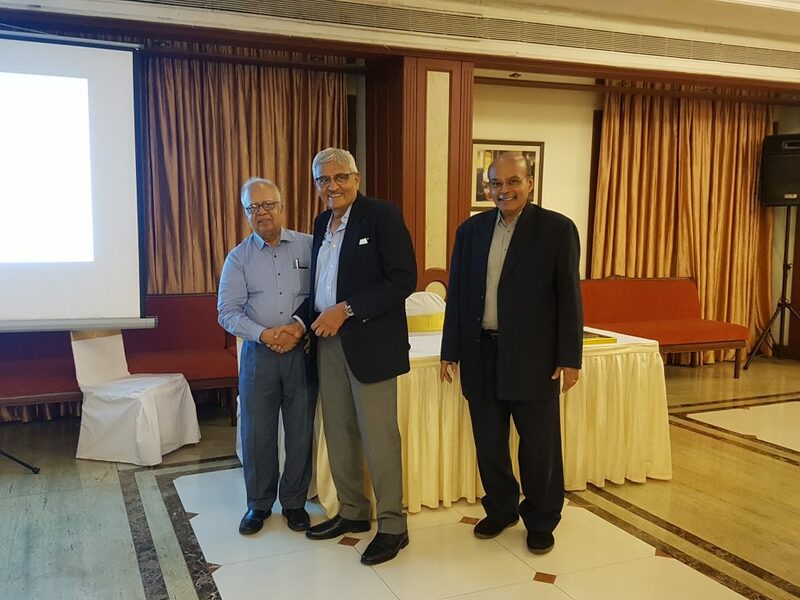 Also honoured were the star speakers of the SKEP programme who had contributed much to create a brand which has achieved recognition far and wide. 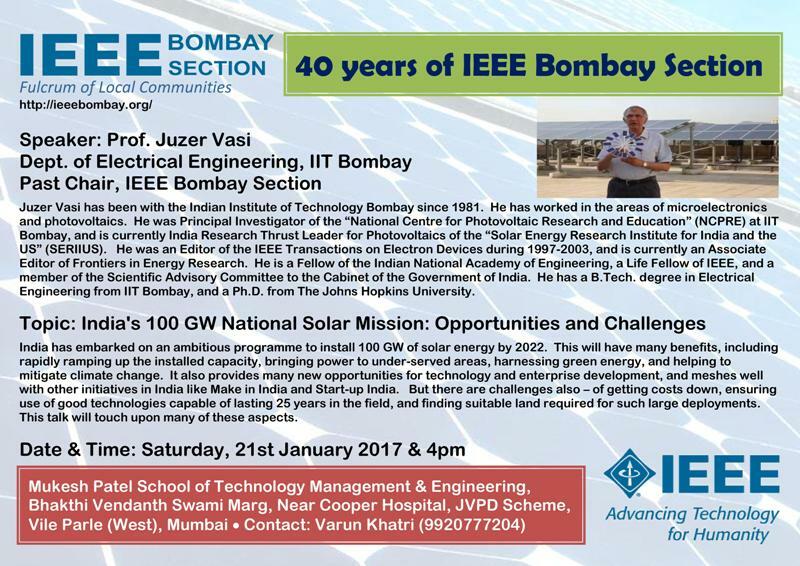 Invitations were sent out to all on the honours roll, irrespective of whether they had continued IEEE membership. 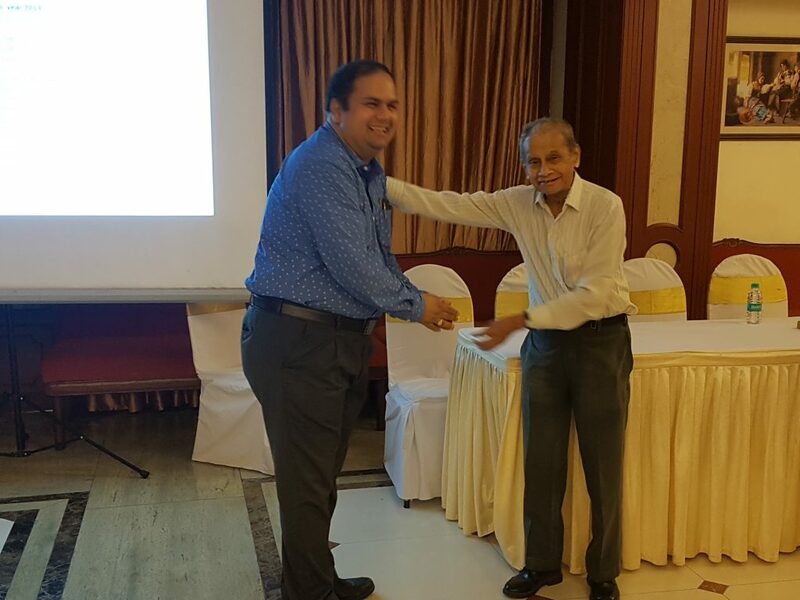 This special gesture was much appreciated. Life members and senior citizens were invited with spouse and the list of invitees almost touched 100. 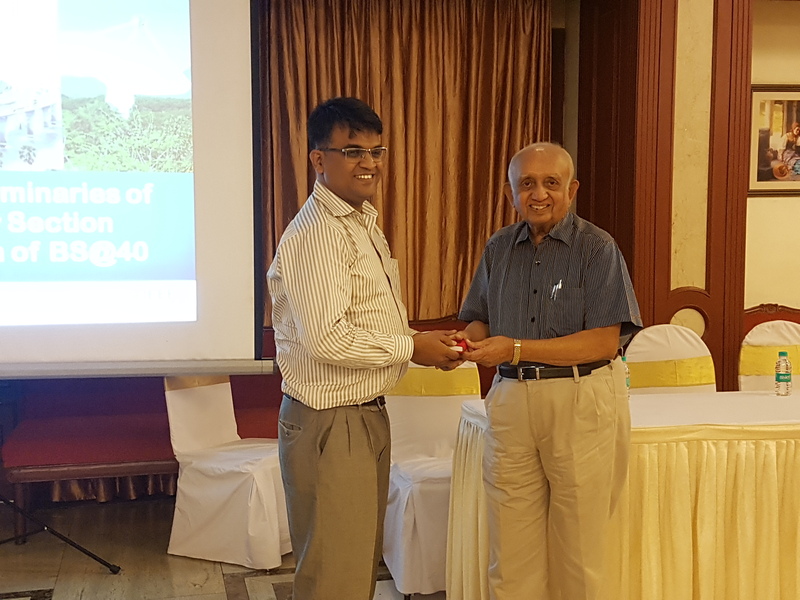 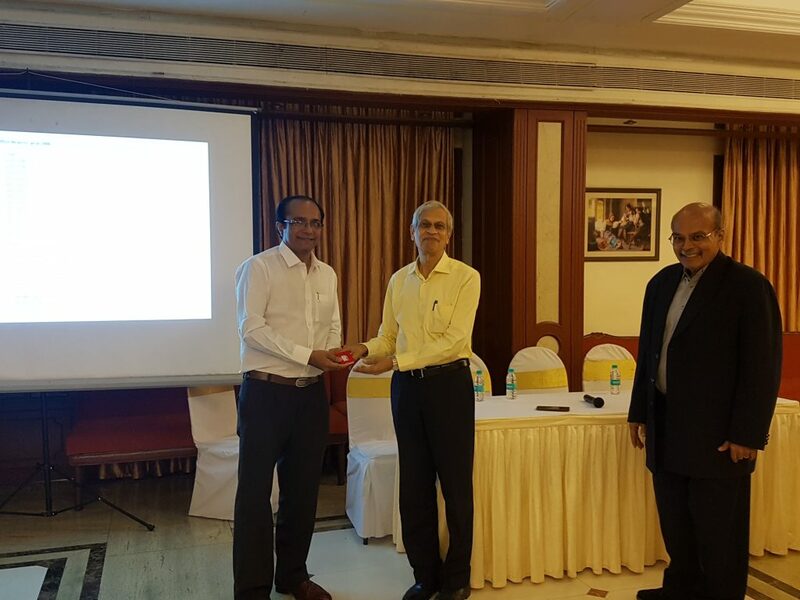 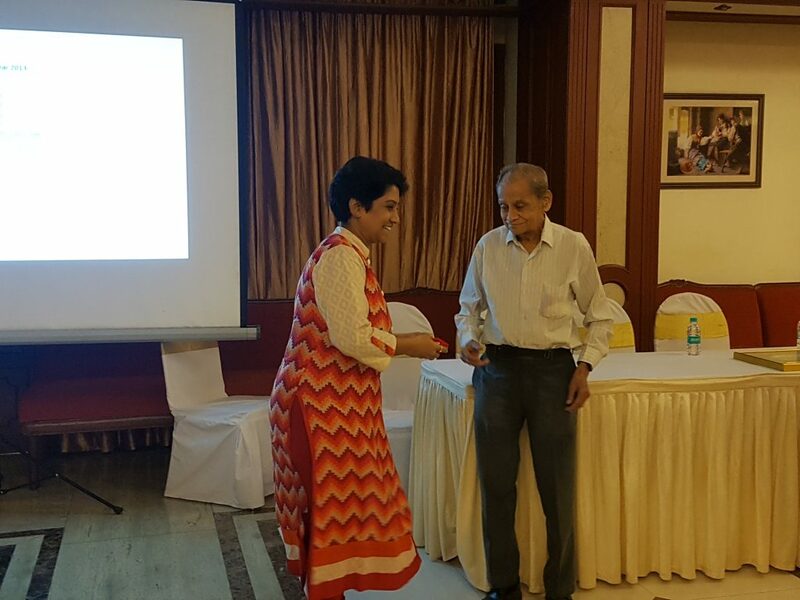 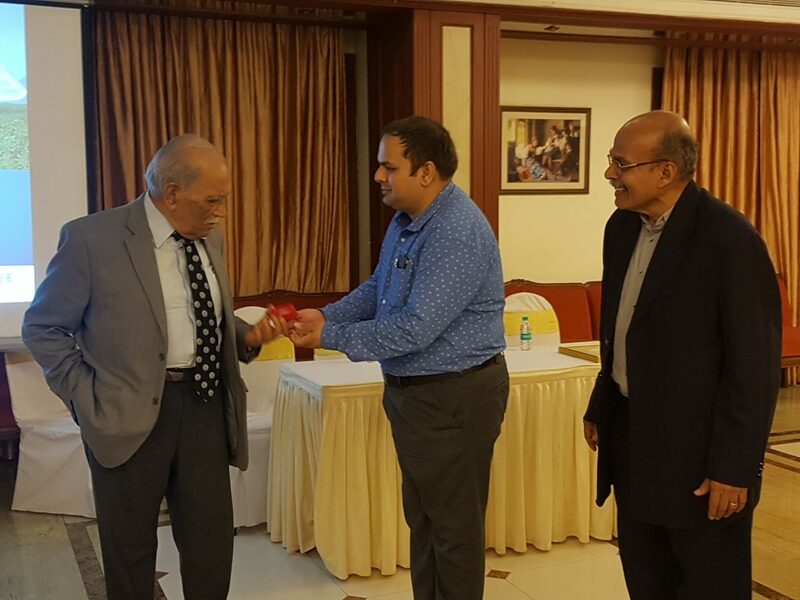 Each BS@40 stalwart was presented with a silver commemorative coin engraved with the IEEE Bombay Section Logo. 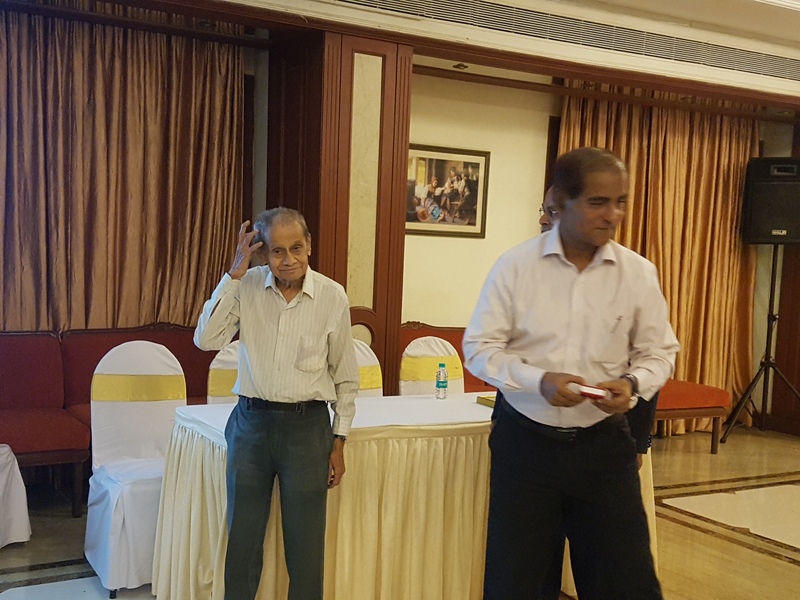 The function began with a brief recap of Section activities over the years. 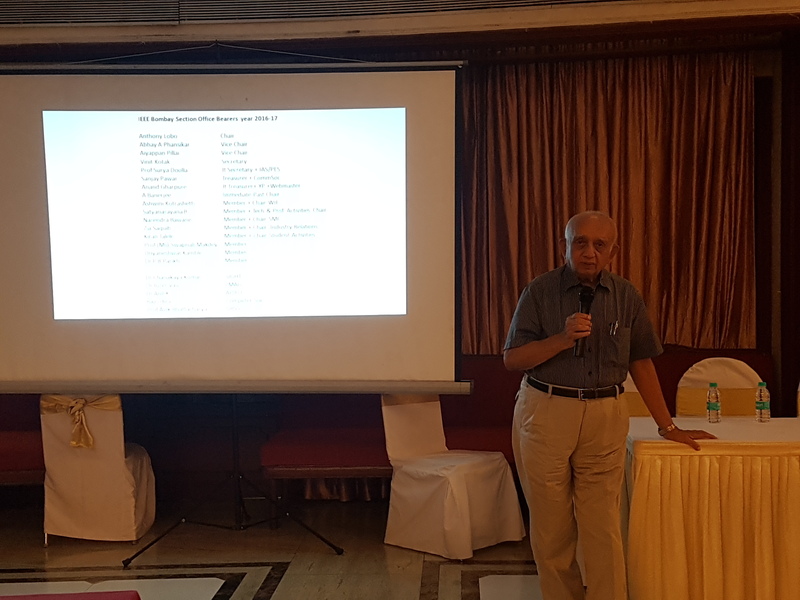 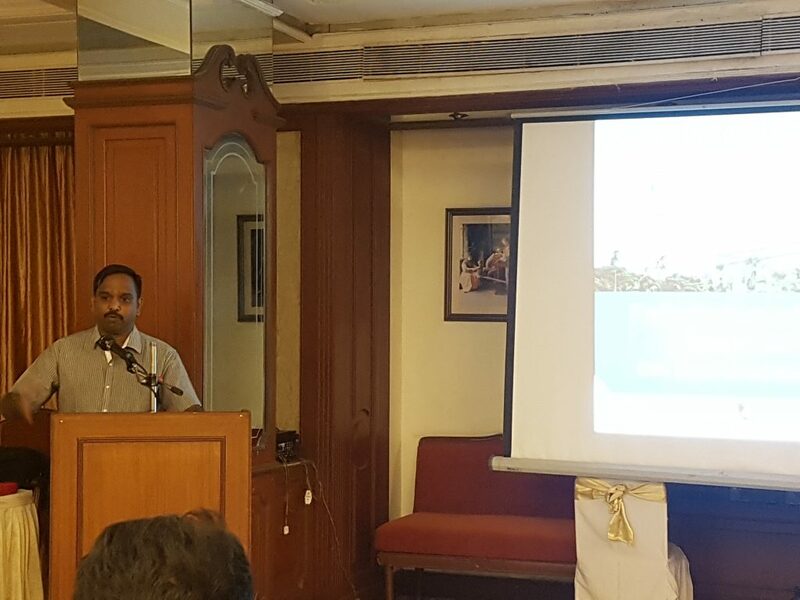 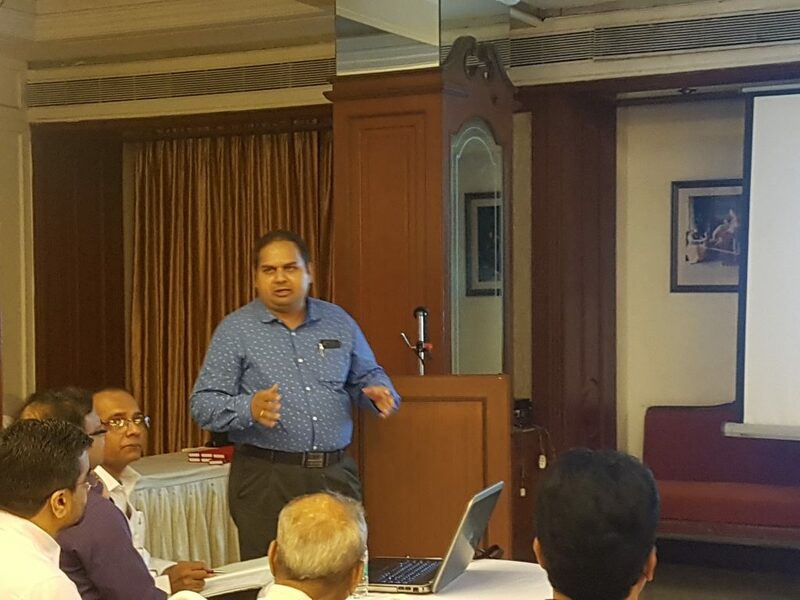 Then Dr B Satyanarayana Tech Activities Chair made a special presentation on the significance of the year 1976 in history and how BS@40 had been celebrated with expert talks during the period. 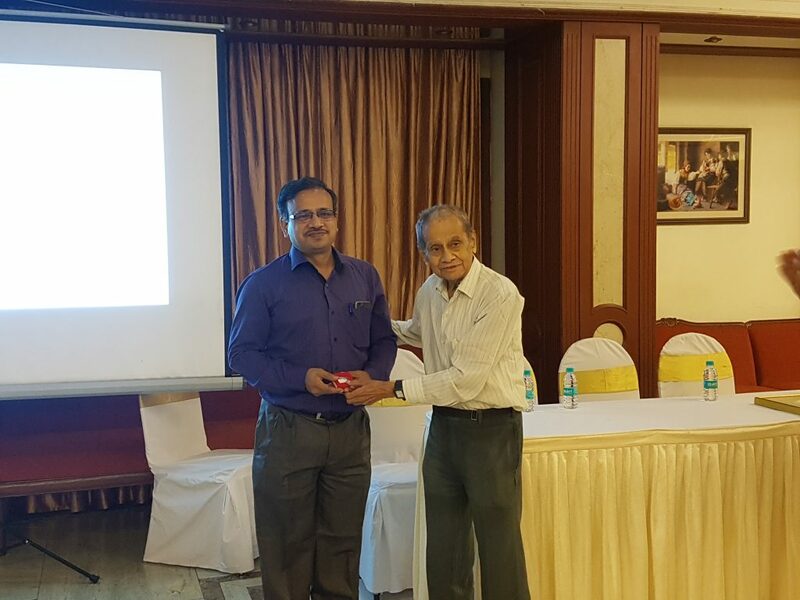 A unique format of the function served to retain the interest till the end. 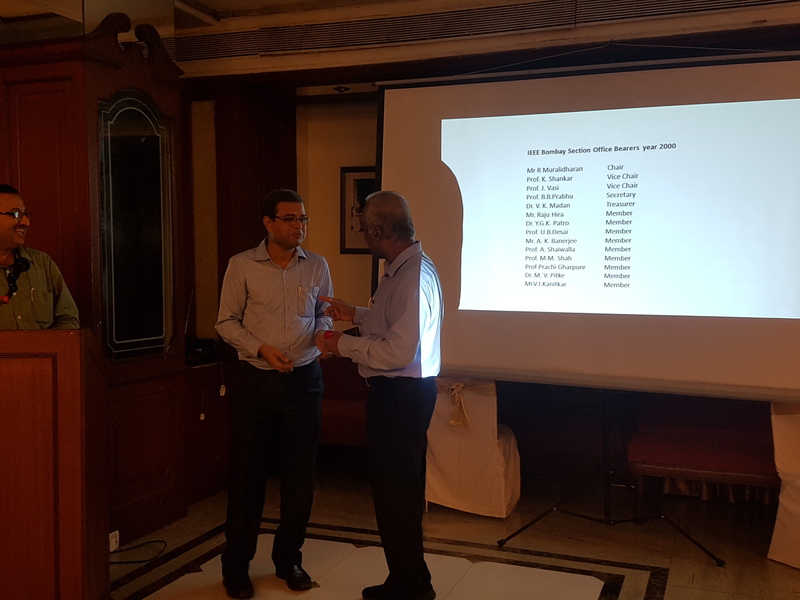 Starting from 2000, the list of each year’s Execom members was displayed and those present from among that list were invited to come up to receive their coins. 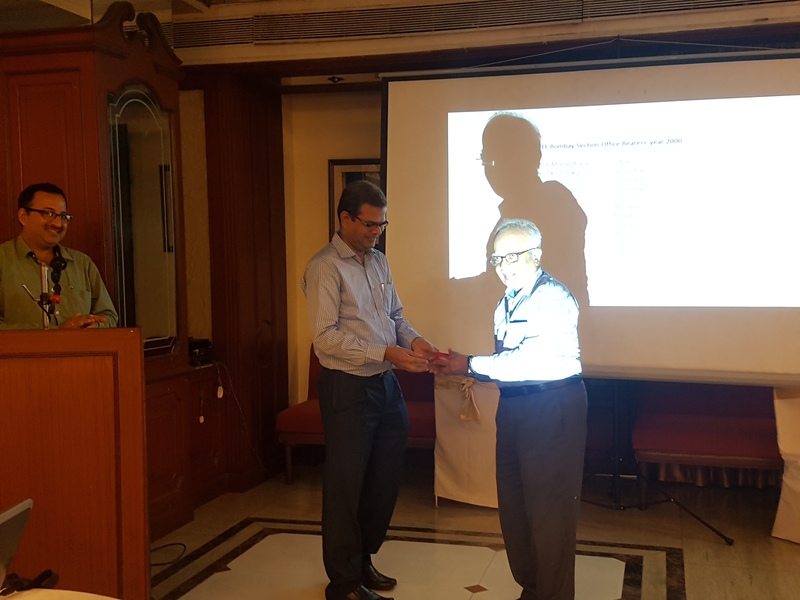 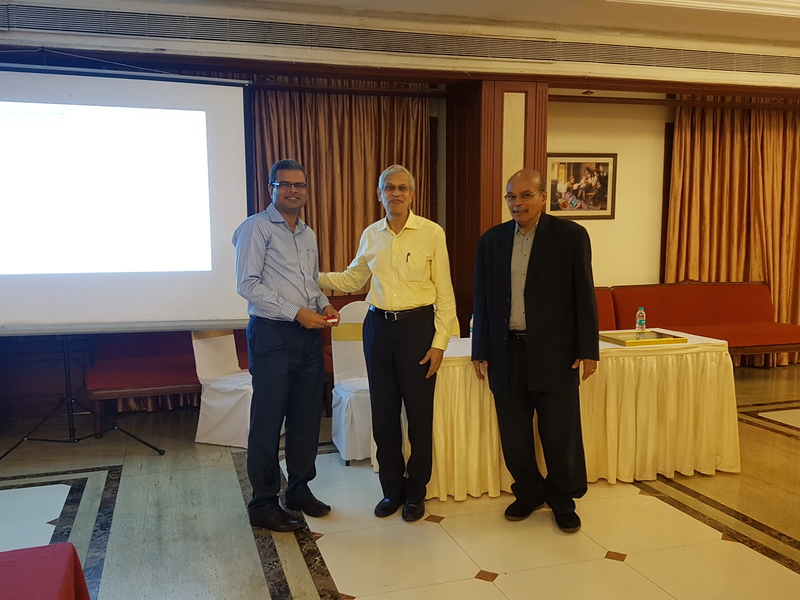 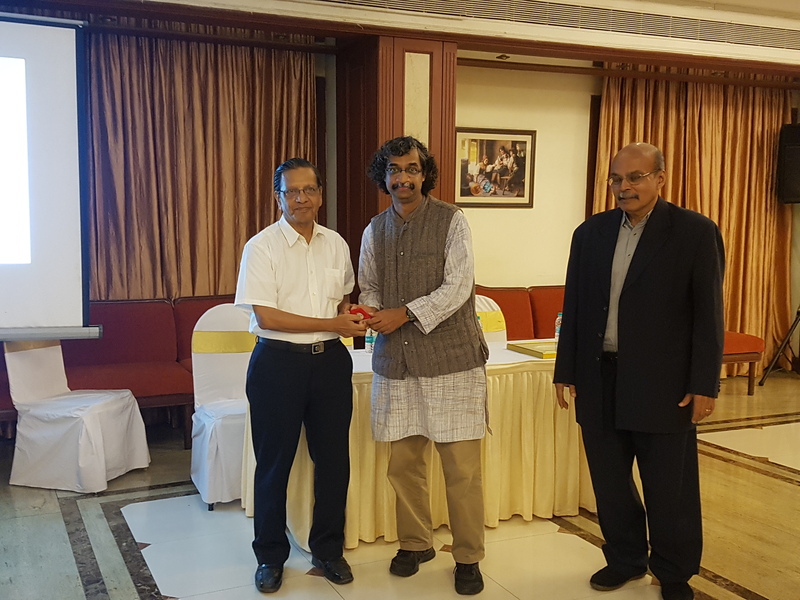 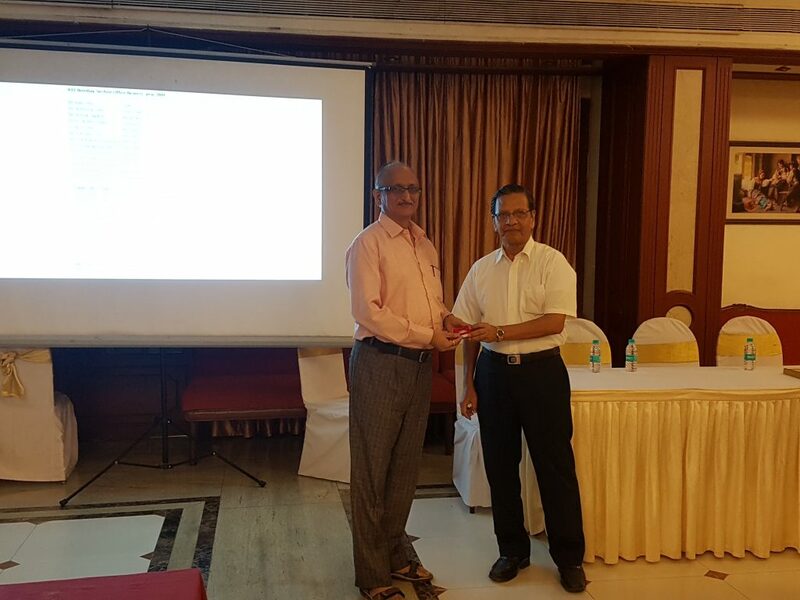 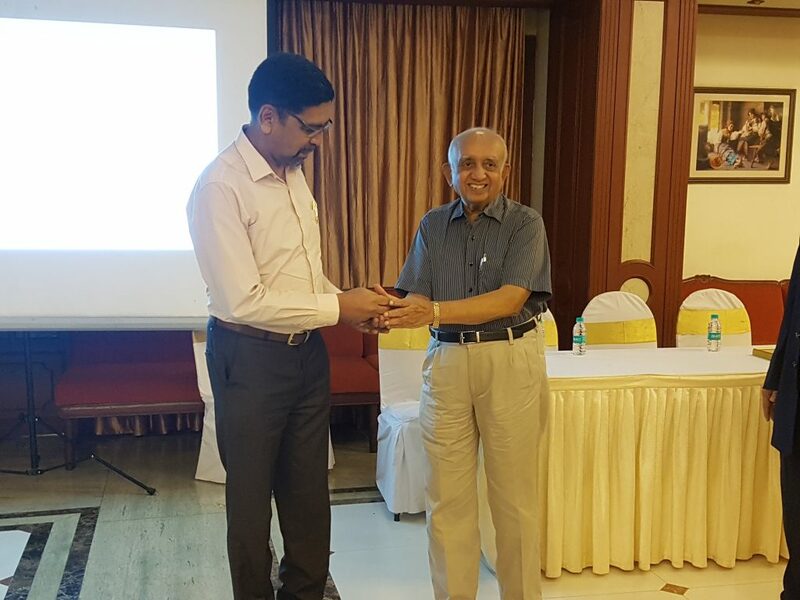 Presenters and awardees were shuffled around and a Senior like Dr FC Kohli, first chair of India Section, received his memento from Anand Gharpure, YP Chair, among the youngest members of the Execom. 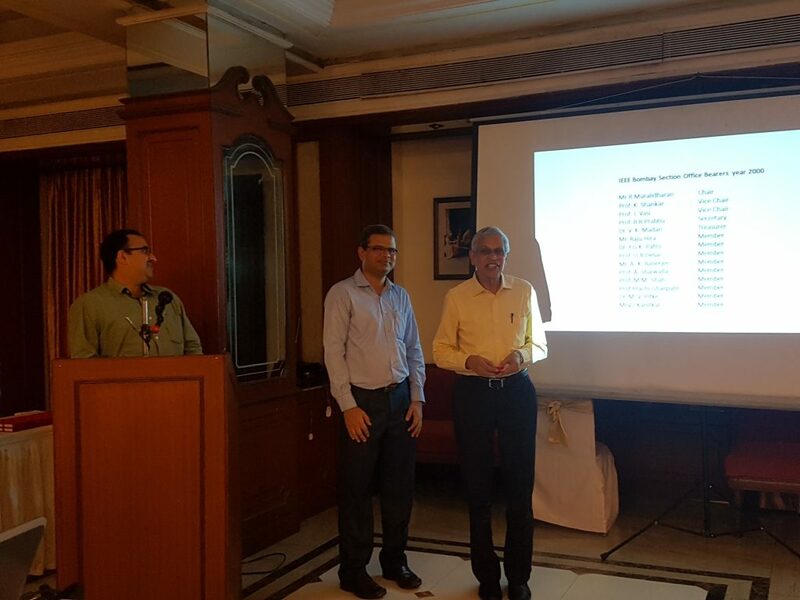 Interspersed with the yearwise individual felicitations were special presentations from WIE, LMAG, Students and Young Professionals. 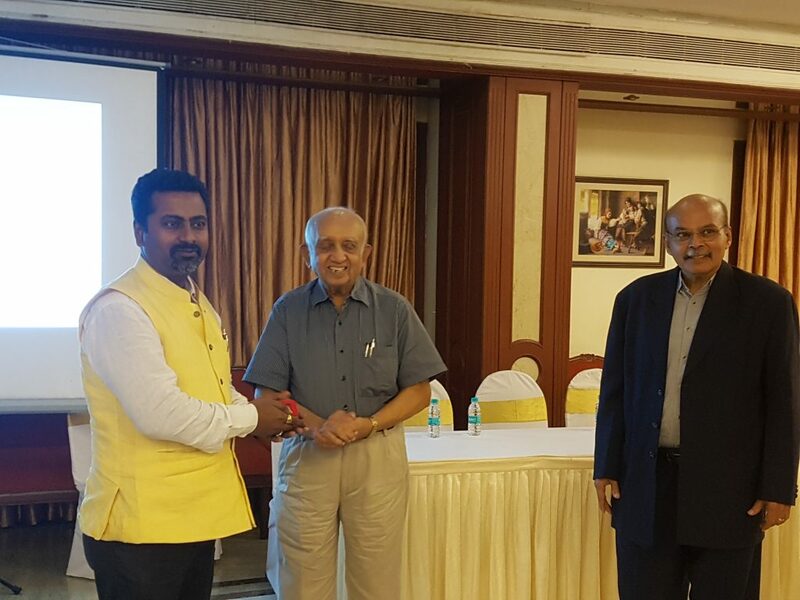 This served to retain interest of one and all and keep the proceedings moving. 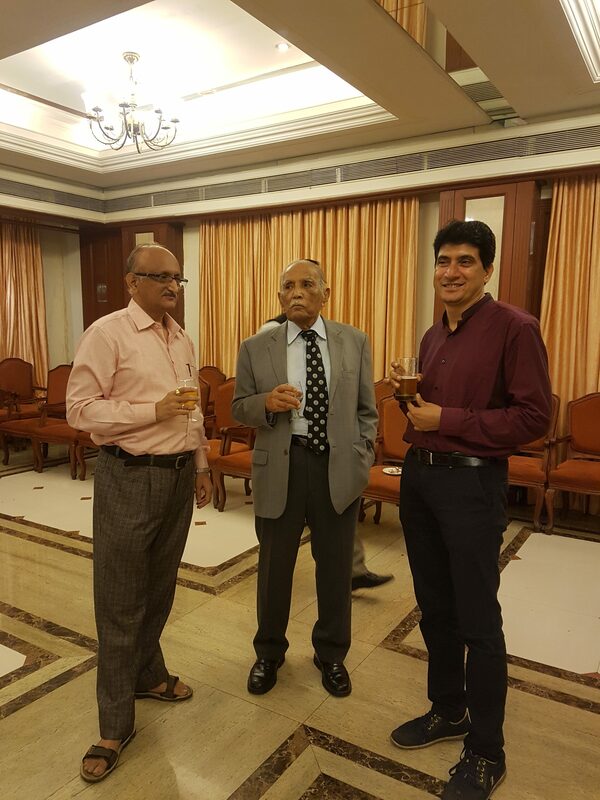 The evening ended with networking and dinner.